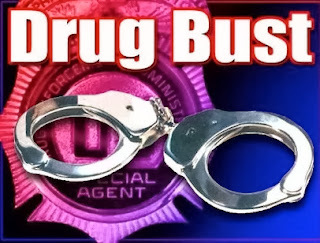 Ocean County Prosecutor Joseph D. Coronato announced today the arrest of five individuals as a result of a two-month cooperative multi-agency investigation into drug storage and distribution facilities allegedly operating in Lakewood, NJ. The Prosecutor’s Special Operations Group, Northern Enforcement Unit, along with members of the Lakewood Township Police Department and the U.S. Immigration and Customs Enforcement’s (ICE) Homeland Security Investigations (HSI) successfully developed significant evidence of the operation of the facilities, which led to court-authorized search warrants being issued for three residences and a thrift store within Lakewood. Detectives also identified two vehicles, specifically a silver 2004 Kia and a red 2008 Nissan Altima, as being utilized to facilitate the drug distribution network. On November 25, 2013, at approximately 10:30 am, the above partnering agencies were joined by the Lakewood Township Police Street Crimes Unit, Lakewood and Brick Townships’ Police Emergency Services Units, and the Ocean County Sheriff’s Department K-9 Unit to execute search warrants at the following locations: A Thrift Shop located at 109 Ocean Avenue, Lakewood NJ; 1075 West County Line Road, Lakewood NJ; 370 Joe Parker Road, Apartment F, Lakewood NJ; 968 Ocean Avenue, Lakewood, NJ. The police operation at the above-listed locations, as well as on the Kia and Nissan vehicles, resulted in the seizure of approximately one pound of cocaine, approximately $8,000 in cash, electronic scales, packaging materials, and assorted items used in the manufacturing, packaging and distribution of cocaine. The seized cocaine has an approximate street value of $25,000. Beyond the drug operation, detectives also found equipment and materials used in the production of fictitious passports. The 2004 Kia and the 2008 Nissan Altima were also seized pending forfeiture proceedings. David Marquez, 25, of 1075 West County Line Road, Lakewood, NJ. Marquez was charged with Possession of Cocaine, Possession of Cocaine over five ounces and Possession of Drug Paraphernalia. The Honorable Superior Court Judge Francis R. Hodgson, Jr., set bail at $200,000 cash. Marquez was lodged in the Ocean County Jail. Jose Hernandez Varela, 44, of 698 River Ave (Route 9), Lakewood, NJ was charged with Possession of Cocaine, Possession of Cocaine over five ounces and Possession of Drug Paraphernalia. The Honorable Superior Court Judge Francis R. Hodgson, Jr., set bail at $200,000 cash. Hernandez was lodged in the Ocean County Jail. Ramona Flores, 30, of 370 Joe Parker Road, Apartment F, Lakewood, NJ was charged with Possession of Cocaine and Possession of less than one half ounce of Cocaine with Intent to Distribute. The Honorable Superior Court Judge Francis R. Hodgson, Jr., set bail at $35,000, no ten percent. Ms. Flores was lodged in the Ocean County Jail. Carmelo Ramirez, 28, of 370 Joe Parker Road, Apartment F, Lakewood, NJ was charged with Possession of Cocaine and Possession of less than one half ounce of Cocaine with Intent to Distribute. The Honorable Superior Court Judge Francis R. Hodgson, Jr., set bail at $35,000, no ten percent. Ramirez was lodged in the Ocean County Jail. Rocio Luna, 22, of 1075 West County Line Road, Lakewood, NJ was charged with Possession of Cocaine, Possession of Cocaine over five ounces and Possession of Drug Paraphernalia. The Honorable Superior Court Judge Francis R. Hodgson, Jr., set bail at $100,000, no ten percent. Ms. Luna was housed in the Ocean County Jail. The public is reminded that criminal charges are merely accusations and that the defendants are presumed innocent until and unless proven guilty.